If a bra offered flying buttresses, I'd wear it. The architectural element is used to help support structures of great magnitude. Notre Dame in Paris, a work of art near and dear to my heart, is said to be one of the first buildings in the world to feature the flying buttress, an arched exterior support. Like I said, my bust could use a flying buttress or two. I am guessing I'll find the next best thing at Nordstrom at Kenwood Towne Centre. The eponymous department store flings open its doors later this month, serving up a reputation of exceptional service and merchandise. 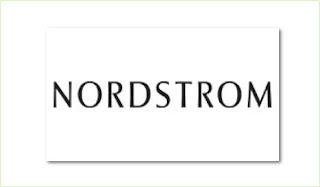 Nordstrom is kicking off its grand opening celebrations with a fundraiser September 12 called "Nordstrom Fits America." The chain will offer guests a free bra-fitting, as well as donate $2 to the local Susan G. Komen for the Cure charity per every bra sold. As if getting to inspect their lacy goodies is not enough, Nordstrom will also treat guests to refreshments and beauty consultations. Call 1-866-231-4657 if you're interested in booking an appointment. I'm getting a sneak peek of Nordstrom a few days later at their opening gala party. I promise to take plenty of videos and pictures - and fill you in on the inside dish about this new fashion mecca.